Zhao Jun was a disabled girl since one year old when she suffered from a severe burn injury. After the fire, her mother left the little girl and so as her father. She was sent to her aunt since then. The girl’s left leg was removed after the accident while her right leg had a greater problem. As the burn scar matured, the contracture occurred to tighten her skin and reduce the leg movement. It also caused the muscle of right lower limb to decrease in size. 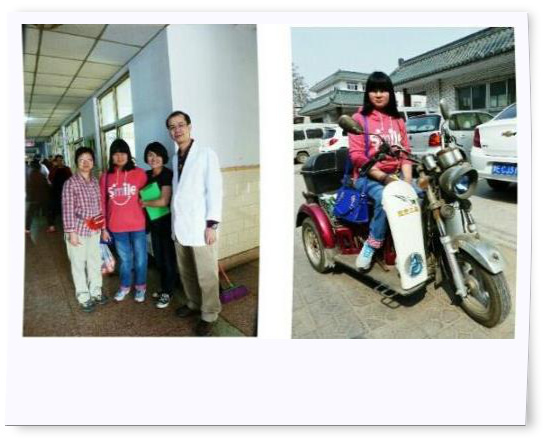 Though she received multiple surgeries in China, the deformity was not improved. 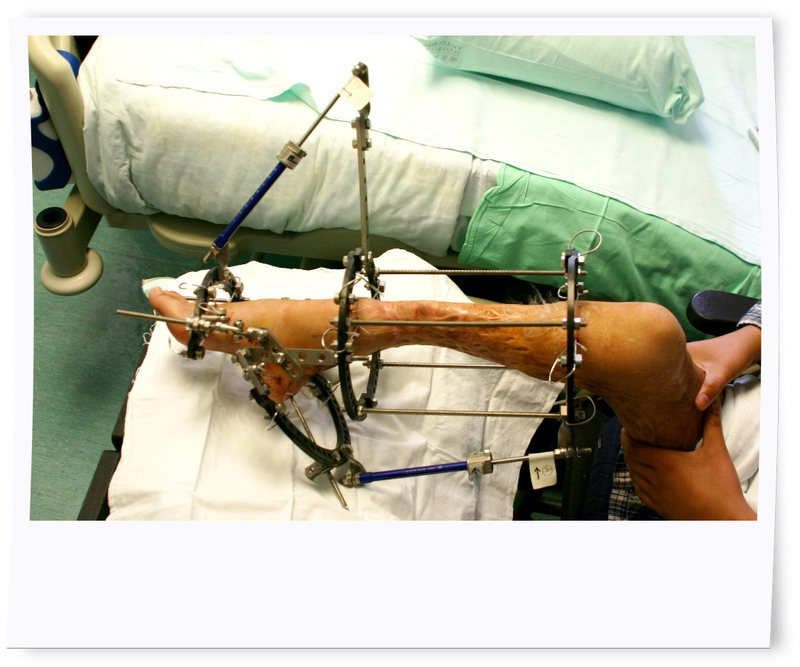 The conventional method was hazardous to the nerves and blood vessels on her leg. Since childhood she could not walk properly even with the bilateral crutches. Zhao Jun was given little chance on education as there was not sufficient support to disabled children like her in China. 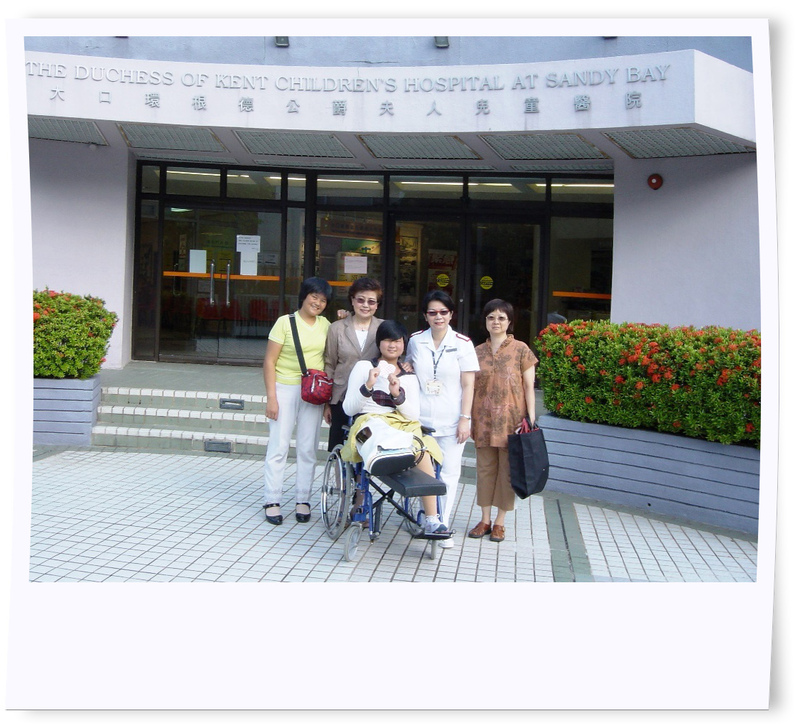 With the sponsorship from SRDC, Zhao Jun and her aunt was arranged to Hong Kong for treatment. She stayed in the the Duchess of Kent Children’s Hospital at Sandy Bay and received the surgery in April 2009. 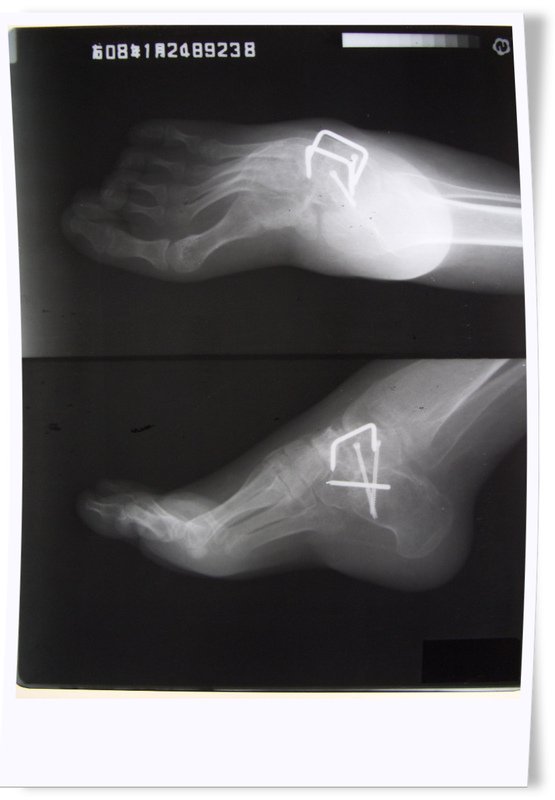 Her right foot deformity was corrected gradually by the Ilizarov external fixation system. Zhao Jun received several follow ups on wound dressings the next month. She also practiced standing in the Physiotherapy Department as she needed to get used to the new posture after the surgery. During her recovery, she wore a splint on the toes to keep them straight so as to prevent a contracture. 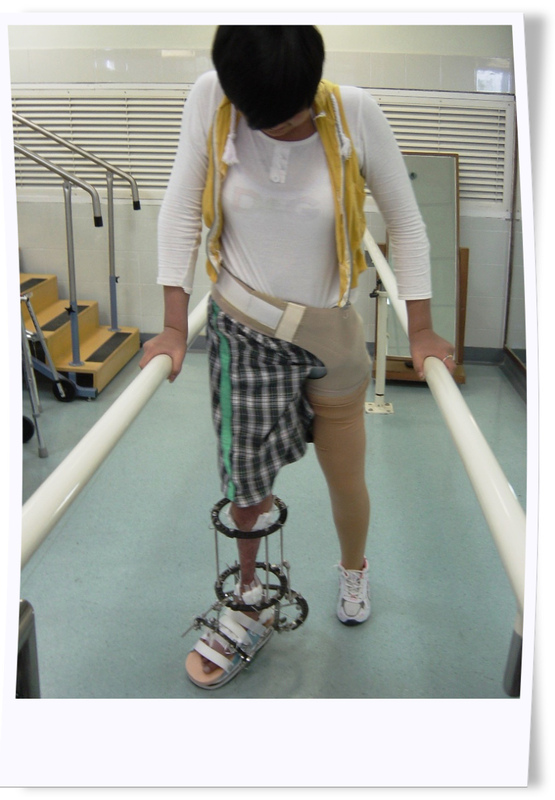 As for her left leg which was amputated from the accident, a new artificial limb was offered to her with the Society’s funding. In June 2009, the girl’s foot deformity was in good progress and she managed to put more weight on her foot. She had more practices on walking in these two months. The last doctor’s checkup in Hong Kong was on 21 July 2009 and she was discharged from the hospital. 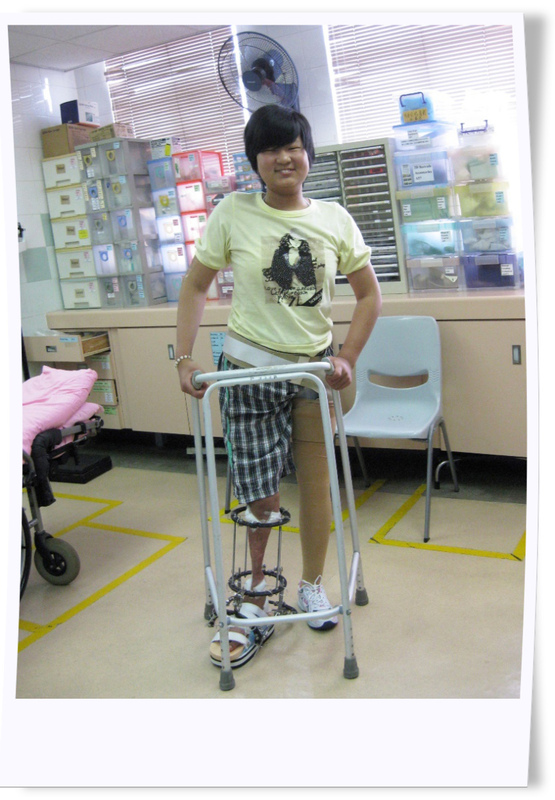 Zhao Jun returned home with her new and corrected legs. Two months later she could walk for 5 km without a problem and returned to school. Dr Chow Wang of the Duchess of Kent Children’s Hospital continued to visit her in China every year for medical follow ups. In April 2014, Zhao Jun met him during his voluntary medical trip in China. We are happy to know that she is working in the advertising industry now after high school graduation. The young girl is also the breadwinner of her family too. I am one of the millions of disabled children in China. I am so lucky that I can come to the Duchess of Kent Children’s Hospital for treatment, learning Cantonese from the uncles and aunties here and be taken good care from the people of Hong Kong. I am most grateful to the Society for the Relief of Disabled Children for offering assistance and support to me! Thanks! When I thought back the days before the treatment in Hong Kong, I could ‘walk’ with the top of my foot though with a shooting sharp pain in every single step. I got through it with the persistence from my soul. Since I have my correction surgery and got my heel back, I can wear my shoes and walk properly like normal people. Now I walk with pride which I have never felt before on the busy main streets. I still cannot walk too far however, I have been brought to a broader horizon already. I truly believe that if I can still walk tomorrow, the distance would be longer than today and the scenery would be more spectacular. I would like to thank the Society for the Relief of Disabled Children for the support and encouragement so that I have the pride to tell the world that I am a normal person now. Thank you and I truly thank you all.